Founded in 1901, Riley & McCormick was providing Calgary Alberta district residents with the finest of harness, saddles and Western wear before the province of Alberta was incorporated in 1905. Riley & McCormick has been present at every Calgary Stampede since 1912. Not just interested in supplying equipment for the animals at “The Greatest Show on Earth”, Eneas McCormick was one of those concerned enough to be a founder of the Cowboy Protective Association for the financial benefit of injured rodeo competitors. History has passed by the doors of Riley & McCormick stores – pioneer missionary Father Lacombe for supplies for his orphanage; military saddles ordered for the Russian Cavalry in W.W.I; Edward, Prince of Wales, to equip his huge EP ranch; decades of entries in the Calgary Stampede Parade, a presentation cowboy outfit for Prince Charles – all part of Western Canadian pioneering and pride in Canada. The grandchildren of Eneas McCormick still continue to provide traditional expertise and high quality goods and services. Riley & McCormick is a part of Calgary, part of the Canadian West – Calgary´s Original Western Store since 1901. The Riley & McCormick brand has been outfitting Westerners since 1901; its part of our corporate heritage. This family-owned business, based in Calgary the heart of the west, provides western wear that captures the heart and the spirit of the cowboy tradition. 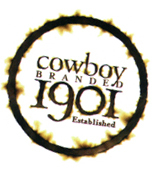 Today, we specialize in creating, manufacturing and supplying unique western products that help our customers tie their authentic brands to the cowboy culture. If you have any questions, or you would like more information on something you’ve seen here, please contact us. “Attentive customer service is the key to lasting client relationships,” says customer service lead, Donna. She’s got your back with 20+ years of experience and strong organizational skills to ensure you get what you need on time and within budget. Donna’s focus is on serving you to ensure that you receive the highest quality product that will represent your brand with flair. Brian, Project Manager lead, has long been known as the ‘Mr. Blackwell of western wear’. He is regularly called by media during the Calgary Stampede to evaluate the western apparel choices of politicians. He plays no favorites in his frank evaluations of the success or failure of politicians to look like cowboys/cowgirls. Brian has 25+ years of experience in the western wear business. His expertise in cowboy merchandising will ensure that your brand is featured in the best light. His attention to custom detail will allow your firm to stand out in the crowd. To be the leader in western wear in North America. To provide authentic western wear and gift products that enhance corporate brands and reflects our western heritage. For the past 5 years, our company has worked with McCormick Western to design our corporate Stampede shirts. Their unique approach allows us to completely customize everything, from the fabric swatches down to the snaps and stitching, creating a one-of-a-kind shirt for our staff and clients. They’re a pleasure to deal with and would highly recommend. McCormick Western has been ‘building’ our corporate Stampede shirts for several years and we could not be more pleased with the results. The number of shirts we require does not allow us to shop off the rack; the shirts must be sewn for us. Brian and Donna’s professionalism and experience is so helpful to guide us through the process from selecting the fabric to delivery of the finished product. I look forward to working with McCormick Western again in the future.